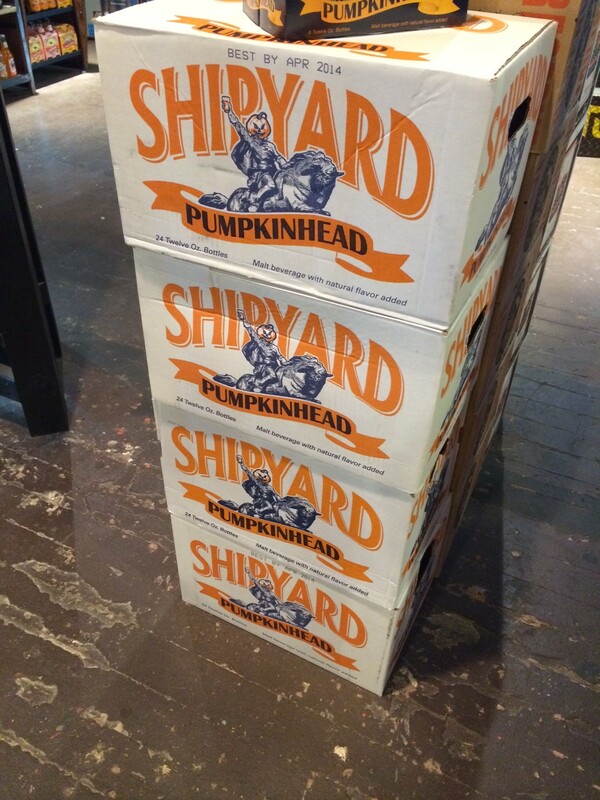 Yes, that’s 4 cases of Shipyard’s Pumpkinhead. Starting a new tradition this year…Ash and I decided to buy 96 bottles of beer to share with friends and family before Halloween. Basically once the Pumpkinhead has been consumed the holidays begin. From Maine to New York most bars have Pumpkinhead on tap. With sugar-cinnamon rimmed glasses to orange slices Pumpkinhead is downed by the pint! We live in a Midtown Seattle condo. Needless to say the bottles of beer have been strategically placed on our kitchen table, in our fridge, wine cellar, wine rack and the empty cardboard containers are in our entry way.